Nicole Kidman, Lucas Hedges, director Joel Edgerton, and author Garrard Conley sit down with IMDb to talk about their emotional new movie, Boy Erased. Another 7 wins & 35 nominations. Boy Erased is a memoir by Garrard Conley, and it was adapted to the screen by writer, director, and actor, Joel Edgerton. Lucas Hedges plays Jared, a 19 yr. old boy from a devout baptist family. Jared knows he is gay, but decides not to tell anyone, because being gay is a major sin to Baptist's. When Jared's parents played by a powerful Nicole Kidman and Russel Crowe, find out the truth about Jared's sexuality, they have no choice, but to send him to Love in Action, a gay conversion camp to fix his "addiction." The camp is led by Victor Sykes, an ex-gay himself (played by writer/director Joel Edgerton). When Jared begins his time at LIA, he is ready to put his homosexual acts behind him, but as he quickly sees the terrors of LIA's facility, he realizes that he needs to break away and live the life he cannot deny. The film provides many emotional scenes throughout and it gives viewers a look at the horrors of conversion therapy. Before seeing this film, I read the book, and this movie is one of the rare instances when the movie might be better than the book. Edgerton masterfully displays the hurt and sorrow Jared is going through, and the pain he is feeling knowing that his relationship with his family has taken a hit. The scenes between Hedges and Kidman are especially heartfelt and gripping, as well as the last scene between Crowe and Hedges. When the film comes to an end, you will be left feeling many emotions because of the strong emotional tone of the film. The tone is depicted in a clear and concise way by Edgerton, and it's hard to lose interest throughout. 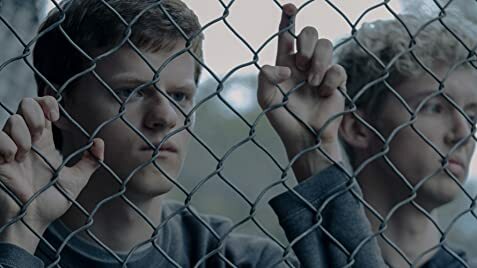 Edgerton has provided one of the best movies of 2018, with unforgettable performances led by the tremendous Lucas Hedges. Boy Erased is a poignant film about family, love, and being yourself, and it is an important film which should be seen to make known of these relevant issues and stories. Garrard Conley turned down the opportunity to write the adaptation himself as he believed a filmmaker would be better fit to translate his memoir to the big screen.